RealTalk: Where's Our Just Cause 4 Review? Home » Games » RealTalk: Where’s Our Just Cause 4 Review? 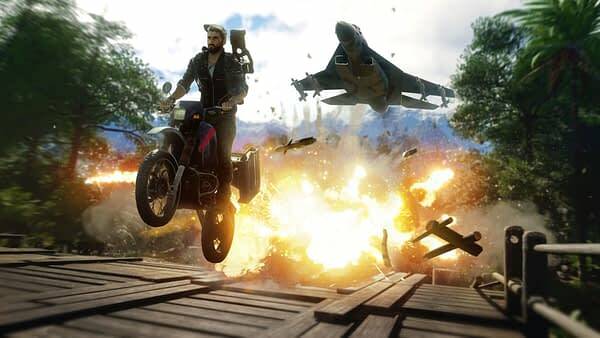 Just Cause 4 released today, and while we’ve been playing it over the last few days, it is an absolutely massive game. So we’ll be holding our review until we’ve managed to get closer to the end of the campain. Since Just Cause is a sandbox, there really isn’t any way to “finish” it, but we can get as close as possible before giving it a score. So far, JC4 has been treating us well with all the expected mayhem and customization, though we are looking forward to all the videos of players inventing new ways to travel, kill stuff, or just cause some light chaos for the poor civilian NPCs. We’re having too much fun throwing our enemies into tornados and tropical storms at the moment. In the meantime, here’s the game’s launch trailer to keep you pumped.